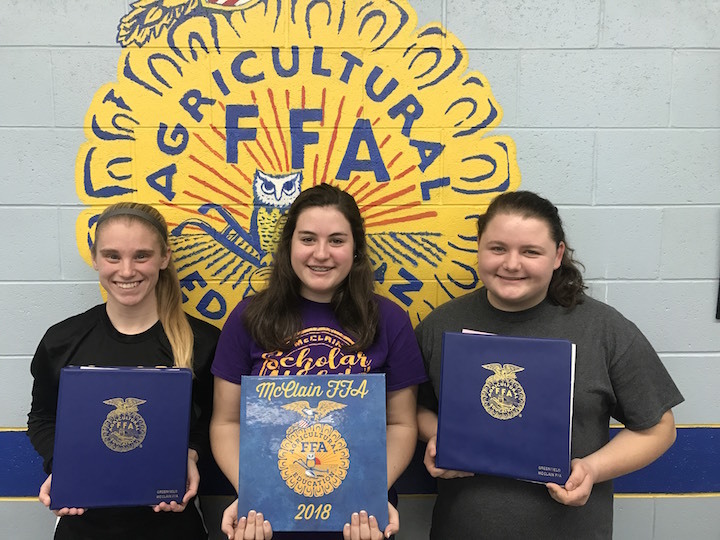 McClain FFA members Kelli Uhrig, Destiny Trefz and Natalie Rolfe recently turned in their officer books. Uhrig worked to keep track of all money-related business that the chapter was involved in for the past year. Trefz worked countless hours to keep track of all attendance for every event over the past year, as well as recording business that was discussed at each meeting. Rolfe took pictures at all of our events and put them into a scrapbook and also kept social media updated with announcements and results. All three girls received perfect scores and will be recognized by the Ohio FFA state officers at the Ohio FFA state convention.